Feeling so sad today...lost my vibe! One minute you're here happy, making plans, looking forward to a great future...and the next minute it's all over! May your beautiful soul rest in peace. You'll be missed. So many things are happening at the moment. Linda take your time to breath and relax, you'll feel better soon. RIP.....we will all miss u. Still findin it hard 2 believe Kefee is rily gone! God knws best. Feeling sad too! Rest in peace dear! Same Here.... I literally WEPT!! LORD BE WITH THE LOVED ONES SHE LEFT BEHIND. Dats life 4 u...........all is vanity..........RIP kefee and glory may ur souls rest in perfect peace! This life is notin , all we have to do is do d best we can and allow God finish it up . very sad, God knows best, who are we to question God, may her soul rest in peace, she will be missed. I pray for the family she left behind. its been a bad day indeed.av cried so hard my head aches.RIP DEAR. O death! Where is thy sting???? Very very Sad...may her soul rest in peace. Rest in perfect peace KEFEE. So sad... It makes you re-evaluate your life. Live right cos we never know... God have mercy. So sad really feeling d pain may her soul rest in peace .LUCIANO . Everybody gonna die but some people die too quick RIP Branama Queen. She will be GREATly missed! RIP dear. How I tied wrapper round my waist! In short DEATH! Ur FATHER!!! I wish u neva came till eternity! This world is like a mall; you shop/sell and go home..
Chineke nekwa ndi nke gi! RIP Kefee. Rily rily sad. Linda pls post my comment, am a fan of urs. Life is meaningless and death makes it so much true. We spend ourselves acquiring things on earth then die and live it all behind. Sometimes we die young, sometimes we die old, but no matter when we find that there are still loads of things we wished we had done or could still do. Life is short, live it to the fullest, that's the only thing that makes sense. BRANAMA QUEEN. I WILL MISS U.REST IN PEACE. OH DEATH U HAVE TAKEN AWAY A LIFE LOVED BY MANY.SUCH A GREAT LOSS AND PAIN.U WILL ALWAYS BE REMEMBERED. That's a heavy tragedy! This life..... Smh! May she RIP amen! Rip kefee,may d gud lord giv ur family d fortitude to bear d loss. God comfort her family. may her soul rest in peace. Kefee may ur beautiful soul rest in peace. I can't get over this sad news. WOW, JUST LIKE THAT? WHAT HAPPENED? REST IN PEACE! The number of deaths that have occurred this period has made me think more about my life. Nnaa ihe nkea gwukwaa ike! So so so sad! No wonder they kept on playing her songs today. I can't Stop thinking about her. RIP dear is really hard for me to believe dat ur gone so soon. Linda take it easy ok. It is well Linda. For those of us that are still alive, no one is guaranteed TOMORROW. Live your life the best way you possibly can while keeping in mind that it all comes to an end someday. May God bless and keep the family Kefee left behind. R.I.P Kefee...this is dedicated to you http://wp.me/p3I3SO-aA so SAD!!! May your gentle soul Rest In Peace. My heart is heavy. RIP Kefee,u'll always be remembered for gud,it's well wit ur soul..
R.I.P Kefee. There Is really nothing in this life. May God give ur families and espescially ur hubby the grace to bear this great loss. why?why?why? Why? Why all dis happenin.rest in peace. but i can't blv dis. Her death is so painful...i will really miss her dance the way she shak her Afro hair when she sing oh kefee I will miss u..may ur soul rest in peace. 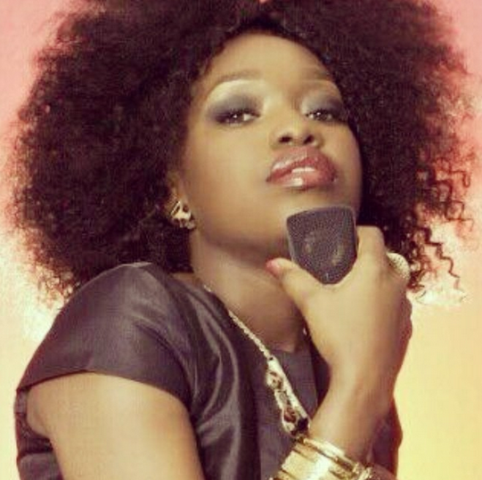 God knows the best, we cannot question him........RIP Kefee. Rest In Peace Kefee. Still so hard to believe. My spirit is so deeply wounded!just can't believe ths,just yesterda I read on a site dat she has woke-up fm coma and I was screamin and praisein God,just to wake up ths morni and read ths.it's affectin m badly.Lord pls wrap ur hands ard her husband and family.ths just too painful.RIP kefee,love u! It's so sad! Am in shock. May her beautiful soul rest in peace. May her soul rest in peace. Jesus knows what best for her. It hurts. Linda lost my vibe 2day too..still find it hard to bliV...I don cry..I don weak..I sure prayed for her to get better bt God knws best!!! Omg! Kefee? Omg! RIP dearly bloved. Some months Y'all were Insulting her when She released her pics,Now y'all be showing False remorse abi na Sympathy...God is watching Y'all. RIP Darl. Rest on branama queen. May God help give d grace to I and others willing, to live right while we await our turn...B heaven concious in all that U do my brethren. Na dat one sure pass. Then u must be a kid...na wa o. May your beautiful soul rest in peace Kefee. We love her but God love her more,this is sad news. I have had Branama playing on repeat for most of the day. Sometimes am so scared of closing my eyes to sleep because of d incessant deaths around. She was indeed an icon, may she find rest in His bossom.Amen. RIP Kefee.God pls accept her soul. That is life for you. All vanity. RIP dear Kefee.so sad to hear of ur passing but God knows best.Heaven just couldn't wait for you. still very shock, hw can we loss u so soon, it pains my heart to see vibrant people die wen i heard about her illness i never siezed to pray for her, God knows best... U r missed my dear,. May ur beatifull soul rest in peace. Words Aren't Just Enough. RIP Branama Queen. I feel so sad since I heard this morning. May her soul rest in the bossom of the Lord. Rest In Peace Kefee, we cannot question God because he knows better and loves u more. RIP dear, u'll be missed. Linda plz stop............ God plz can she wake up????????????????? rest In peace. m still finding it difficult to bliv DAT kefee is gone 4eva. Actors,actresses,musicians,al die'en,wat dose 2014 holds 4 us.....RIP branama queen!! RIP d branama queen, life Ȋ̝̊̅§ absolutely nothing. Sometimes a death of someone closer gives a vacuum of emptiness, but when someone we adore and cherished died we usually see this life as being quarrel and wicked. I want us to reflect this moment and have a re-think that one day, that person, that hero, that love ones, me and you will EXIT this life like KEFEE and Dr DORA. Rest in peace most adorable ones. rest in peace Kefee....God Bless your soul. This is just too much sorrow to bear....this is beyond human understanding. Rest in peace Kefee Branama. My heart bleeds. Dear God please heal the world. You were so vibrant. You gave us beautiful songs. May your soul rest in peace. May God give your husband and those you left behind the fortitude to bear this loss. Her death is sooo painful..Being playing her songs and looking @ her pics all day...waoo Linda dear all is well..No evil shall befall us and our loved ones....Amen! linda you seem to be selecting the comments you post, most comments that mentions God/eternity you cast aside, but anyways i just want to let you know that hell is too hot and eternity is forever. You dont need to post this either, its for you to swallow. Linda,I so much love your heart .I want to plead with you,any opportunity you have ,always preach the good news,you can also do it with style...,cos after death the next thing is judgement.Don't forget that we are going to give account of every of our action when we get there .hmmmm.good night kefee ! Like seriously I just really wish from d dept of my heart it's not happening.i lost my vibe to n got chills down my body.cryyyyyingggggggg rest in peace if it's true. Dis is da most shockin newz eva....#sadmuch...RIP dear I'm sure u in a beta place. Crying like i know this lady personally. Loved your songs so much Kefee. Keep on singing with the angels above. Nigeria has lost another great person too soon. Rip kefee. The comforter will visit to her husband and family. Rip Kefee, God knows best he got you! I know you're up there smiling at us....you will forever be remeber love you! So painful to hear... RIP Kefee..
May God Bless all LIBers for not making jokes and passing stupid comments on this post! Please let's continue to use this medium to honour her memory and talk of the joy and happiness she has brought us through her music! May God bless u! i cant beleive she is gone,its so shocking.well my prayer for u is to make heaven,RIP. Hmn...Words fail me. I have been thinking of my life all day. If beautiful, ever-smiling and vibrant Kefee can be snatched away from this world by death, who am I? Who are you? Today I have had the rare opportunity of re evaluating my life and I'm most grateful to God for granting me this opportunity. This is a wake-up call for you and I to live each day like it's our last. One minute, Kefee was praising God in shows and the next she went into a coma...then death! RIP Kefee, God knows best. I lov u kafee,I can't really believe u re no more.been cryin all tru tday.I can't stop playin dat ur kokoroko music tday feat wit timaya.Rip kafee.farwell. Ha Linda my heart bleeds....am yet to come off the shock of Dora and now Kefee...may ur soul rest in peace. Lord hv mercy on Nigeria!!! At times like this one begin to wonder and pause to ask: who really deserve to die? Nobody wants to die, but somebody must die. May your gentle soul rest in peace Kefee. So so so painful.RIP kefee. May her soul rest in peace. Pls I want to use this opportunity to tell my other LIB readers, give ur life to Jesus. He is the only person who can guarantee your safety in this evil world.